The Oculus Rift sparked the virtual reality race, but so far, VR has mostly remained the realm of extreme enthusiasts and one-off gimmicks. Now Facebook is looking to achieve true mass market appeal with a standalone Oculus headset. According to Bloomberg, Facebook is planning to unveil an Oculus headset later this year that relies on neither a cellphone (a la Google Cardboard or Gear VR) nor a powerful PC (like the Rift or Vive). The device – codenamed ‘Pacific’ – will be built by Xiaomi and cost around $200 when it ships next year. We don’t have a product to unveil at this time, however we can confirm we’re making several significant technology investments in the standalone VR category. Going by Bloomberg’s description, Pacific will likely be similar to the Gear VR in overall function and capabilities. It shares a similar interface and can also be controlled with a wireless remote. The Dlodlo VR1 are the most compact VR headset I’ve used without sacrificing quality. I hope Facebook is thinking along these lines. Despite the low price point (compared to buying a smartphone and the VR enclosure), the device is supposed to be lighter and more powerful (at least for gaming) than the current Gear VR options. It won’t include spatial tracking like the Rift at first, but that will arrive in a future version. 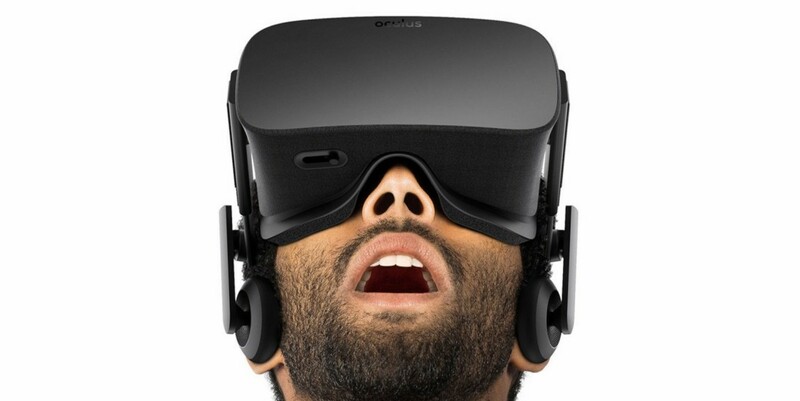 Oculus is also planning a headset that duplicates the functions of the Rift, but wirelessly. It would likely have a battery pack for powering the internal hardware, and beam data back and forth with your PC, as seen in some accessories for the Vive. Standalone VR headsets are the logical end goal for VR. Though they won’t be as powerful as the ones requiring a PC, they’ll certainly be the most practical. Facebook envisions the Pacific as a headset that small and practical enough that people will be able to pull out it of their bag and use it to distract themselves during a flight. It’s a future where you can teleport yourself to an IMAX theater during a boring seven-hour flight. That’s the world I want to live in.